AMMAN: Jordanian King Abdullah II yesterday commended relations with Kuwait at all levels, and appreciated the Gulf state’s support for the Hashemite kingdom. King Abdullah made the remarks during a meeting with visiting Kuwaiti Prime Minister HH Sheikh Jaber Mubarak Al-Hamad Al-Sabah in Amman, the Royal Court said in a statement. The two leaders discussed economic, investment, trade and military cooperation, it added. During the meeting, Sheikh Jaber handed a written letter to the Jordanian king from HH the Amir Sheikh Sabah Al-Ahmad Al-Jaber Al-Sabah on ties between the two countries and issues of common interests. Sheikh Jaber also conveyed greetings of HH the Amir and HH the Crown Prince to the Jordanian people, wishing them more success and progress. 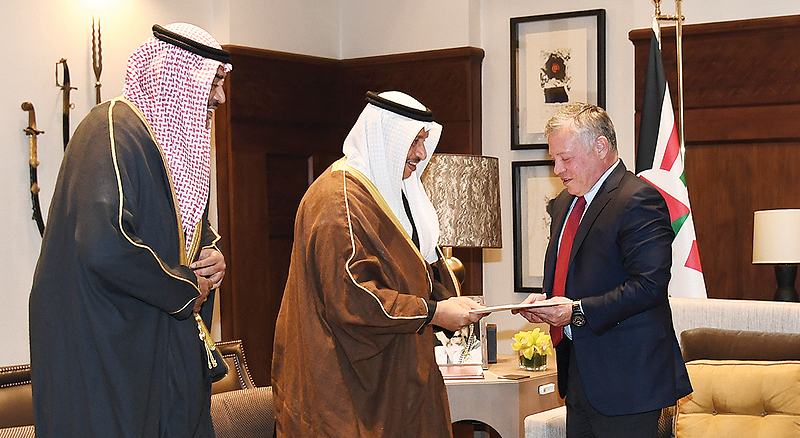 King Abdullah highlighted importance of the Jordanian-Kuwaiti higher committee meeting in Amman and the agreements that resulted from the discussions. He asserted the importance of coordination with Kuwait over issues of mutual interest. 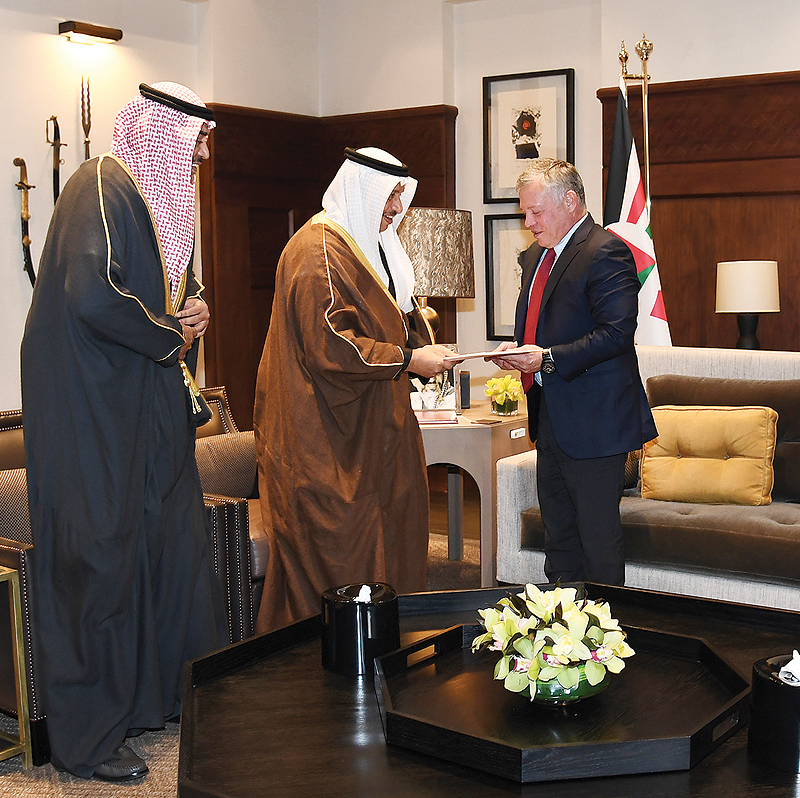 King Abdullah said he was looking forward to Kuwait’s participation in an international conference, co-organized by Britain and Jordan in London at the end of this month. King Abdullah and Sheikh Jaber called for solving regional conflicts peacefully in a way that safeguard security and stability of people of the area, said the statement. They called for doubling of efforts to restart the peace negotiations between the Israelis and Palestinians on basis of the two-state solution and in line with the Arab peace initiative, to ultimately establish an independent Palestinian state on June 4, 1967 borders with East Jerusalem as its capital. Earlier yesterday, HH Sheikh Jaber met his Jordanian counterpart Omar Al-Razzaz for talks, bringing together senior officials from both nations. Razzaz described the talks as another chapter in a long history of goodwill the kingdom shares with Kuwait, as he looked forward to a promising and prosperous future. He pinpointed the Kuwaiti-Jordanian higher committee as a testament to the depth of bilateral ties, saying both nations’ respective leaders have a common desire to further ameliorate bilateral relations. 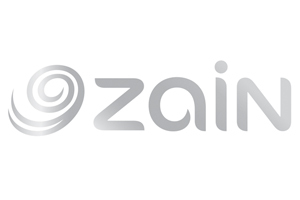 Razzaz expressed his satisfaction over how “progressively better” ties with Kuwait have gotten, thanking the state for its overwhelming support over the years. Thanking his Jordanian counterpart for the invitation, the Kuwaiti prime minister highlighted the talks as an opportunity to discuss a number of pressing issues. 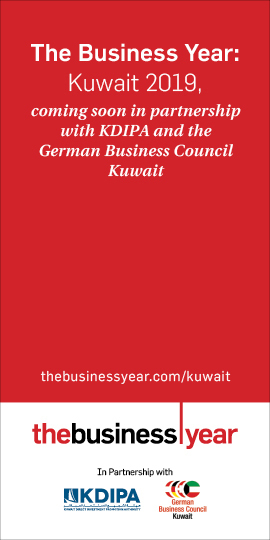 He said the Kuwaiti government, whose investments in Jordan surpass all other Arab nations, has prioritized support for Amman in recent years, given the country’s “strategic importance”. The talks revolved around strategies to develop ties in various crucial sectors, including the economy, culture and tourism, Sheikh Jaber explained. A number of bilateral deals were sealed after the talks, covering a vast array of areas such as energy, housing, social affairs, media and the environment. A separate deal comprised a Kuwaiti grant worth $6 million to fund the construction of two sprawling schools in the Jordanian capital, in addition to other agreements over education, aviation, tourism, industry and legal cooperation. The Kuwait Fund for Arab Economic Development (KFAED) signed the agreement with Jordan to provide the grant to meet the educational needs of Syrian refugees the country is hosting. The grant will cover building and fully equipping two schools in Amman. In a statement to KUNA yesterday, KFAED Director-General Abdulwahab Al-Bader said the fund is giving the grant on behalf of the Kuwait Foundation for the Advancement of Sciences (KFAS). He added that the grant is part of KFAS’ pledge to donate $50 million during a three-year period to help host countries provide proper education to Syrian refugees.